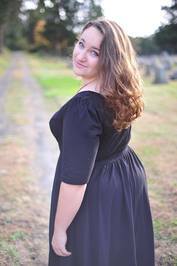 Rachel, Welcome to my corner of the blogging world! Could you tell my readers a little bit about yourself? Sure! I am 21 years old and this summer will celebrate my 10th writing anniversary, though Fly Away Home is my first published novel. I live in the best state in America (Virginia) with my family of eight siblings (besides me), my parents, and my grandmother. I’m a huge fan of chocolate, cheesecake, and Broadway music. Also, anything retro except Elvis. 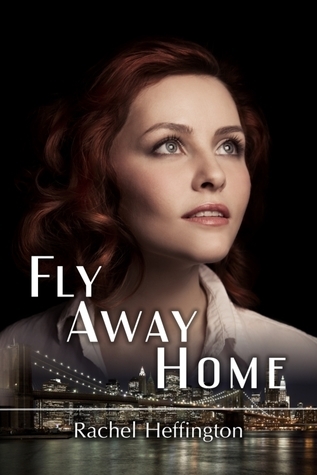 What made you decide to self-publish Fly Away Home? I realized that my writing goals were too independent for the traditional publishing world. I like to write in many different genres and would never be happy signing a contract for 3 series of romance novels in a row. All my books have a distinct Rachel-flavor which is an awesome unifying factor - you can pick any of them up and know it was written by me - but I doubt it would be quite fair to launch that on a publisher and demand he let me skip from fantasy to historical romance to mid-grade novels to contemporary fiction. I don’t like to say I self-published: independent publishing is much closer to the mark, as it encapsulates my reasons for choosing this route. What is Fly Away Home about, really? It’s really a story of a girl who--like many of us in our twenties--wants “success”. She has heady dreams of glamour and glitz and is willing to do anything to get to fame and push away from her roots. Throughout the book her ideas of true success begin to affect her life and the lives of her friends and it’s sort of a look at what a person is willing to sacrifice to get what she thinks will make her happy. Your cover is so pretty! Does the girl of the front look like your main character? Yes. I was quite adamant with my designer about getting an image that looked like Callie - there is nothing I like worse than an image that doesn’t fit the character. The feedback has been good so far - everyone who has read the book say that she looks just how they picture Callie looking. Yay! Tell me a little bit about the process it took to get Fly Away Home from an idea to a published book. The first draft was actually a dream to write. I don’t often get to say that about my novels but it quite literally gave me no trouble. The subsequent rewrites/edits obviously changed and strengthened plot points and characters. I went over this book with a fine-toothed comb. It went through beta readers at least twice and I did about five full edits besides partial edits. Friends who had done the independent publishing route with their books then helped me with formatting and I already knew I wanted to use Createspace as my publisher. What is your current favorite verse? Thanks for sharing with us Rachel, it's nice to meet you!